Local students descended on the Grand Connaught Rooms in London on Saturday 4th August and Sunday 5th August as part of the final stages of the Government-backed flagship cyber security training programme, Cyber Discovery. From thousands of participants overall, just 170 of the top performing and highest scoring students were invited to participate in one of three local Cyber Discovery camps taking place in Manchester, Bristol and London. The Grand Connaught Rooms in London played host to the third and final Cyber Discovery camp on the 4th and 5th of August, where 57 students competed in live, hands-on competitions such as hacking a robot arm, hacking their name badge, cryptography puzzles and listening to talks from industry professionals on the importance of cyber security as a career option. Participants were exposed to real world challenges that impact businesses every day and tasked with thwarting the tactics cyber criminals routinely use against individuals and organisations around the world. The average completion rate achieved in the CyberStart Game stage of the programme by elite students invited to attend the London camp was 88%. The top performing student invited to attend the London elite camp was a boy. He completed 100% of both CyberStart Game and CyberStart Essentials. 30% of the students attending the London Elite Camp came from South Central / North West London, with a further 36% coming from the South East and South London. London also hosted the largest proportion of female students (28%) out of all three camps. 4 of these female students attend Tiffin Girls, a grammar school which is amongst one of the top performing schools both in Cyber Discovery and nationally within the competition. 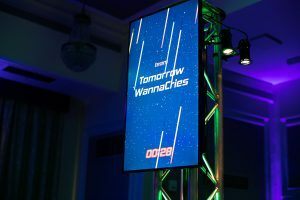 At the end of the weekend, the overall winning team in London was Tomorrow WannaCries, a team which included the top overall performer of the weekend, Euan Ong aged 16. One of Cyber Discovery’s creators, James Lyne, head of research and development at Sans Institute, a key partner behind Cyber Discovery, said: “It was incredible to be part of this weekend’s Cyber Discovery Elite London event. The aim of Cyber Discovery is to give young people an opportunity to learn the skills needed to either enter the cyber security industry at a junior level, or go on to further study in the area, with the ultimate goal of growing the UK’s cyber security workforce of tomorrow. Delivered for the Department of Digital, Culture, Media and Sport (DCMS) by a consortium of experts including Sans Institute, BT, the Cyber Security Challenge and FutureLearn, the programme looks to identify those with a talent for cyber security at a younger age and to encourage them towards a career in cyber.